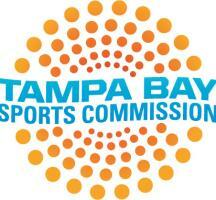 Tampa Bay Sports Commission Unveils New Brand! Happy Friday Sports Fans! Exciting news to update you on from the Sports World. As of this week, the Tampa Bay Sports Commission has launched a new brand along with a new identity. At the forefront of the change is a new logo that combines a sports-specific look and feel of a sell-out crowd with the traditional Florida elements of sunshine and water. In addition to the new look, the TBSC has a new mantra – “Gameday. Every Day.” See what sporting events are coming up in Tampa by visiting the TBSC website: www.tampabaysports.org. As part of the launch, the TBSC has orchestrated a national marketing initiative, “Experience New Now”, to promote Tampa Bay area sports facilities. This campaign aims to show how the area’s facilities are undergoing massive renovations while maintaining their status as premier event venues. To Experience New Now in Tampa Bay, head to http://tampabayisnewnow.com/.